Brian Doherty, author of Radicals for Capitalism, discusses the state of the libertarian movement. Mmost Objectivists (such as Harry Binswanger) support virtually unlimited immigration (although I’m told that Binswanger exempts Israel from his belief in open borders). Well, this was apparently the featured post recently on Binswanger’s email list. A young man named Jan Koum was raised by immigrants who were on welfare and food stamps--exactly what the anti-immigration advocates warn us about. Except that he grew up and became a software developer, and just sold his company, WhatsApp, to Facebook for $19 billion. Being anti-immigration is very short-sighted, to say the least. Also, I see no reason at all why immigrants should be treated differently with regard to welfare: if anything, I suspect they tend to be morally superior and more eager to not depend on handouts, than the Americans who take them. Or at least the next generation makes it, which is so often not the case with Americans on welfare. Immigrants – even when they are on welfare – are morally superior to the rest of us. I posted a brief review of Harry Binswanger's new book on Amazon.Com. Harry Binswanger is a philosopher who was associated with Ayn Rand in her later life. 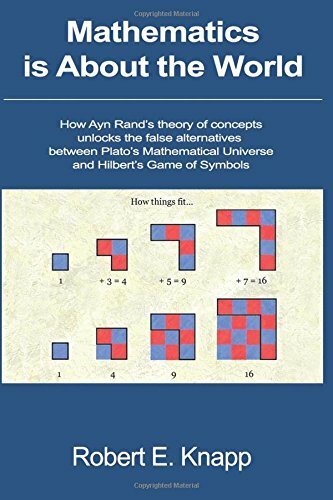 This is his long awaited book on epistemology written from the perspective of Rand's philosophy of Objectivism. It covers most of the major topics in epistemology, including some that Rand didn't comment on, such as propositions. Generally speaking, I enjoyed this book. Although Binswanger is a rather dogmatic Objectivist, the tone is surprisingly mild. 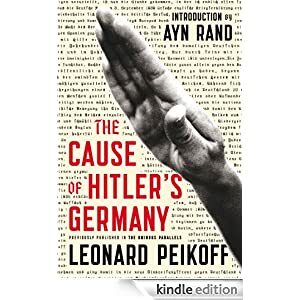 More than the typical Objectivist he tries to understand the ideas with which he disagrees and present them in a fair manner. The heart of the book is an exposition of Rand's theory of concept formation, which her acolytes consider her greatest achievement. She developed an elaborate theory of "measurement omission" in her Introduction to Objectivist Epistemology. I'm not persuaded that all concepts are formed on the basis of measurement omission (what measurements are omitted when we form the concept "justice"? ), but Binswanger makes a decent effort. Unfortunately, he presents no evidence that the Objectivist theory of concepts is true. I'd like to see the psychological studies that adults (much less children) form concepts the way Rand and Binswanger claim. Indeed I suspect that we often form concepts without having two or more examples and a "foil." If I'm wandering in Borneo and see an animal that no one has seen before, do I need to see another one to conceptualize it? Objectivist philosopher Harry Binswanger's new book, How We Know: Epistemology on an Objectivist Foundation is out. I've started reading it and it's quite good. 1. The tone is actually surprising. Although he disagrees with other views, it’s not in the snarky tone of something like OPAR. 2. He generally says “Rand” and not “Ayn Rand,” which was quite a relief. 3. No mention of Branden, Kelley or any published criticisisms of Rand. I guess that’s not a surprise.